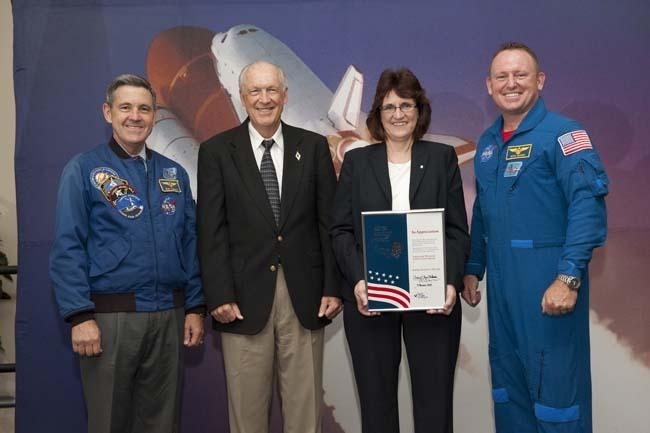 HERNDON, Va., Sept. 2, 2010 -- NASA has awarded Northrop Grumman Corporation (NYSE:NOC) employees Kathy McGraw-Davids and Igor Chuyan the Silver Snoopy award. 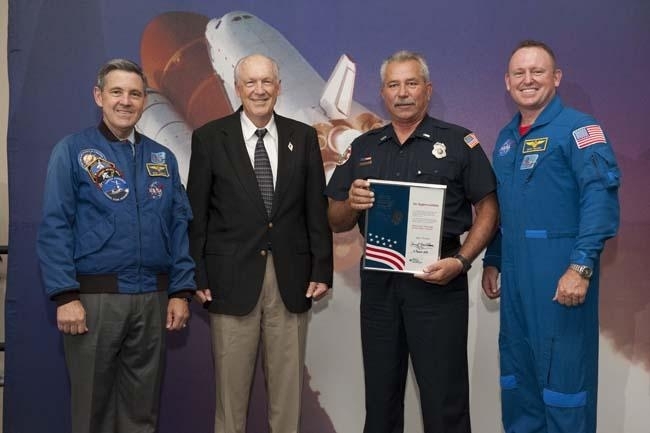 McGraw-Davids is the audit compliance officer and Chuyan is a security forces lieutenant for the Northrop Grumman-led joint venture Space Gateway Support (SGS) at Kennedy Space Center, Cape Canaveral, Fla.
Robert D. Cabana, director, Kennedy Space Center and Astronaut Barry E. Wilmore presented McGraw-Davids and Chuyan their awards in an Aug. 12 ceremony. "Kathy and Igor are more than deserving of the recognition for their contributions to space flight awareness," said Roy C. Tharpe, president, Space Gateway Support. "It's great to have our employees recognized by the customer as it demonstrates their dedication to ensuring the customer receives the best possible service." Since 1968, the Silver Snoopy has been awarded to NASA employees and contractors for outstanding achievements related to flight safety or mission success. It is given personally by NASA astronauts as it represents the astronauts' own recognition of excellence. It is limited to no more than one percent of eligible recipients, and a person can only receive one Snoopy award in his or her lifetime. SGS is a Northrop Grumman joint venture that provides security support, fire services and emergency management at Kennedy Space Center.